Henry Fraser is definitely one of my heroes. Henry’s life changed whilst on holiday in Portugal in 2009. He ran into the sea, dove into the surf and damaged his spinal cord leaving him unable to move his arms and legs. Since then, Henry has worked incredibly hard to build his strength and independence, and to adjust to his new life. He is a talented artist, and holds a brush in his mouth to paint incredibly beautiful and precise pictures. He also gives thought provoking and uplifting talks, and has written a book called ‘The little big things’ – I’ll definitely be requesting this for Christmas. 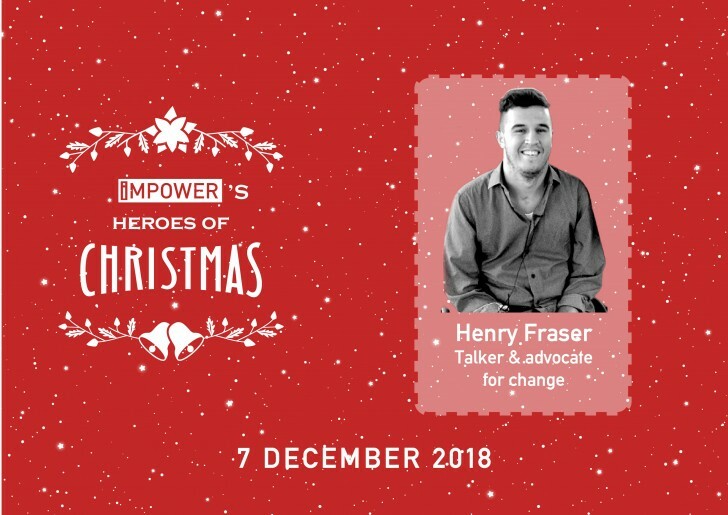 Henry is a fantastic person to follow on Twitter, both because of his advocacy of disability rights, and also because he is one of the most inspiring people around. To find out more about Henry and to donate to Henry’s Trust, check out http://www.henryfraser.org/.